Use our reference chart to help find what Mobil industrial lubricant you need by application type and viscosity. The reference chart also includes comparative viscosity classification information. 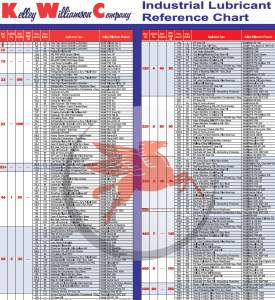 View the Mobil Industrial Lubricant reference chart. Need some assistance in figuring our what product will best fit your application? Contact us at KWOil with your questions, we are here to help service you.